Fun, but misguided and episodic, an unfortunate consequence of its fractured narrative. Find your own happy place. 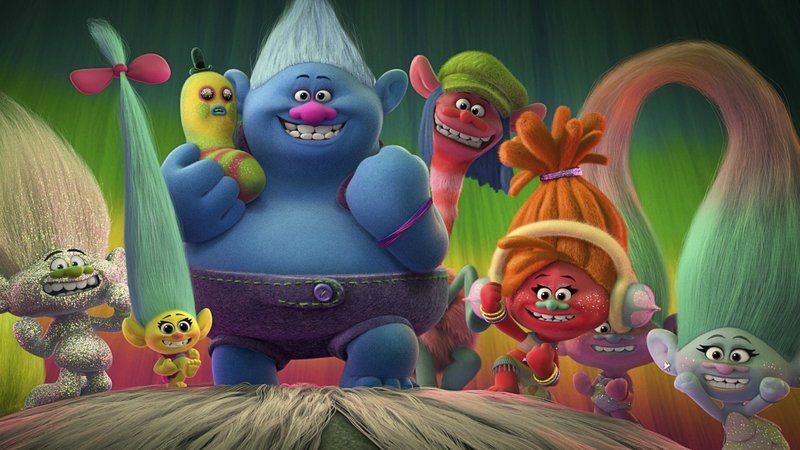 A great sentiment that fails to convince us of its truth, finding happiness becomes finding that elusive narrative thread in Dreamworks’ animated film Trolls. Character, Plot, Theme, and Genre work together to convince an Audience that what a story says is true. When those four cornerstones of story fail to coalesce into a coherent argument, the message of a work fails to make its point. Trolls is fun, and superbly animated—but the story bounces from one narrative Concern to the next. It begins with a focus on Innermost Desires (happiness), then quickly devolves into a quest to rescue kidnapped trolls (Obtaining), then devolves even further into putting on a mask to secure love (Playing a Role), before conveniently returning to its initial concern of those Innermost Desires. As a consequence, the film comes off episodic and misguided—a collection of animated music video shorts with only a modicum of character development to tie them all together. See Trolls expecting to be lightly entertained, but not convinced that one’s happiness truly lies within.